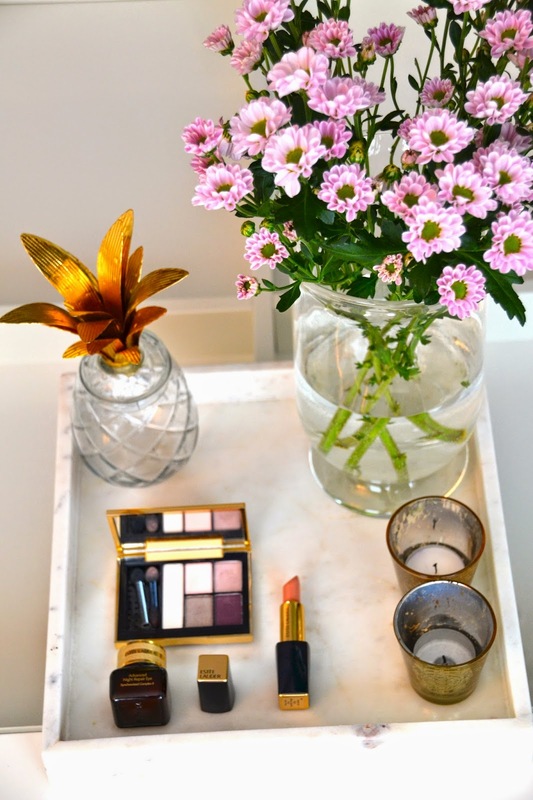 If you read my previous blogpost (here) than you might have seen that I was in Amsterdam to discover the new Estée Lauder collections. I absolutely love this brand, so I just couldn’t wait to share these previews of their newest makeup & fragrance ! I received the ‘Currant Desire ”’eyeshadow palette with lovely pink/purple shades and a matching new Pure Color Envy Lipstick in 170 Alluring”. These 2 items are a dream team. I wore the eyeshadow shades to the Estée Lauder party in Amsterdam (check my Instagram @fashionwise for the pics) . 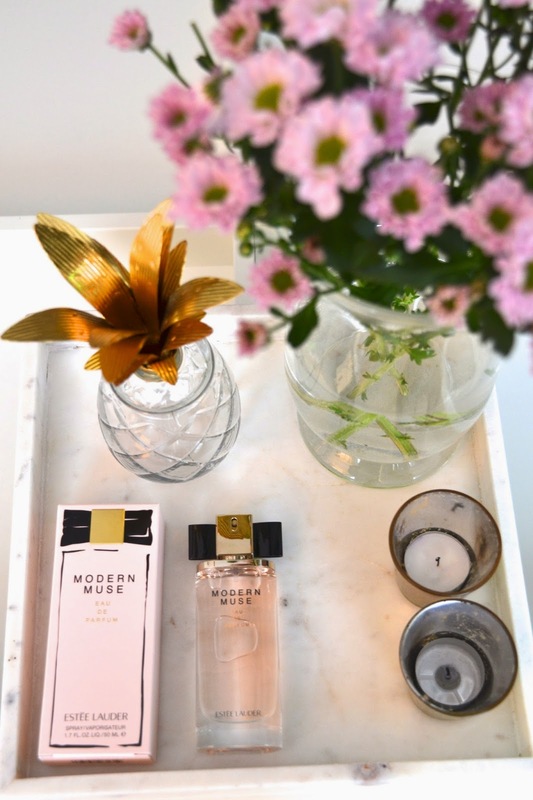 We were presented with Estée Lauder’s newest fragrance Modern Muze in Amsetrdam and we all got to take 1 home ! I’ve been wearing it for the last 2 days and I’ve received many complements about it so far! 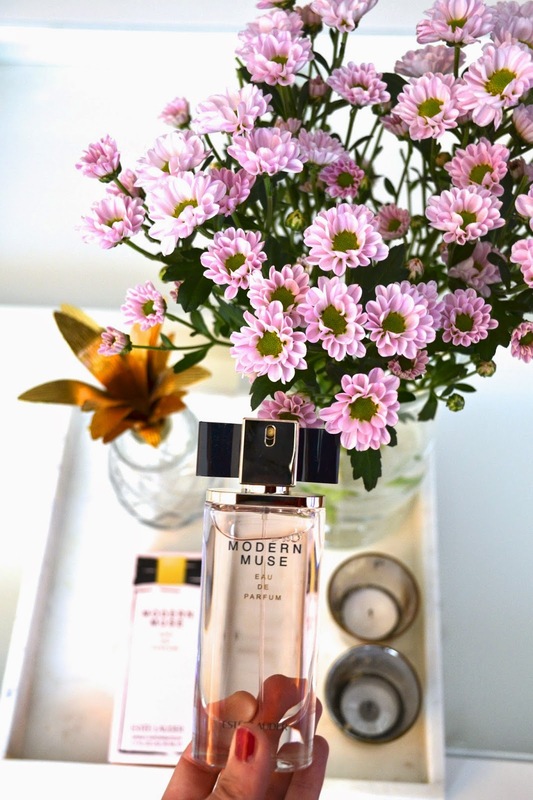 The bottle is sooooo pretty as well!! Love it ! The advanced night Repair Eye with the Synchronized complex II arrived at the fashionwise HQ last week and I’ve been testing it since the day it arrived. I can see a difference (but more on that later on) . De productjes zien er inderdaad weer prachtig uit! very pretty for displaying on a bathroom table.